1. When was the first all India Postage Stamp issued ? 2. When was the Money order service started in India? 3. When was the Postal Life Insurance (PLI) Established in india? 4. Where is the first Indian post office outside the Indian territory located ? 5. Where is the world's Highest post office located? 6. What was the minimum amount required to open a post office Saving bank account? 7. Headquarters of India post is situated at ? 8. First Indian king to be depicted on an Indian stamp ? 9. The National Philatelic Museum of India situated in ? 10 .The PIN Code system Was Introduced in India in ? 11. PIN Code of Supreme Court of India ? Indian Postal Day is Observed on ? 13 . First Indian to appear in postal stamp ? 14 First Foreigner to appear in postal stamp ? 15. How many postal index number zones India has been divided in to ? 16. What is the Full form of PIN ? 17 .World Postal Day is Observed in ? 18 . When did Universal Postal Union Founded ? 19 . Where is the headquarters of universal postal union (UPU) ? 20. Hobby of collecting stamps is called ? 21 . First Mugal Emperor appeared in postal stamp ? 22. First Postal ATM Was Opened in which city ? 23. World's first adhesive postage stamp ? 24. 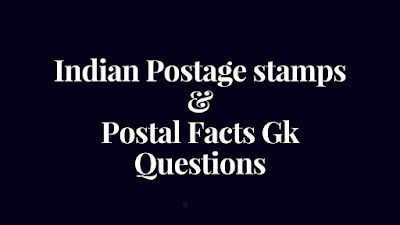 The British Governor General Who Introduced the Postal system in India ?